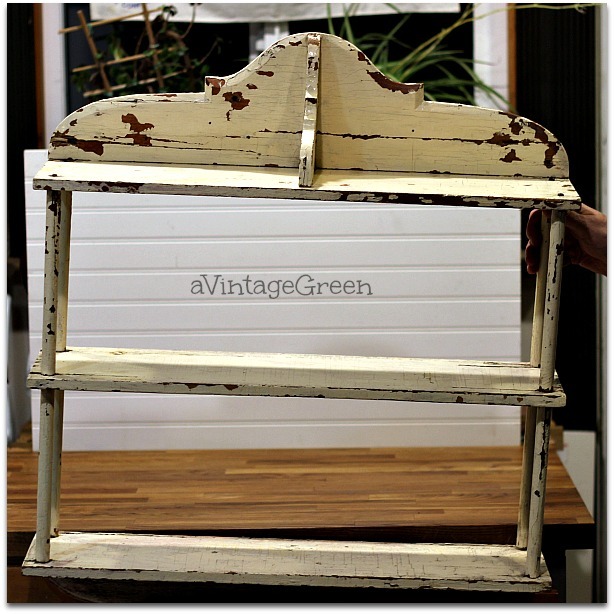 Shelf found at a very junky shop up country. 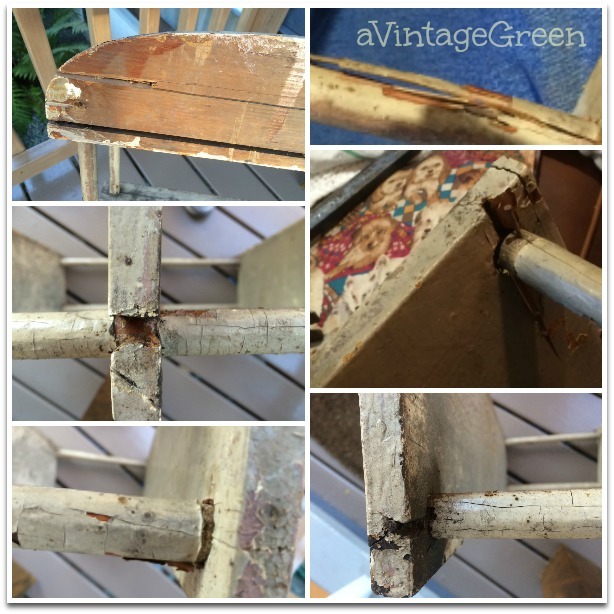 Broken areas, damaged, wood missing, rotten areas - WHY did it come home? Suspect we just felt sorry for the poor little shelf. Needed a LOT of cleaning and repair. 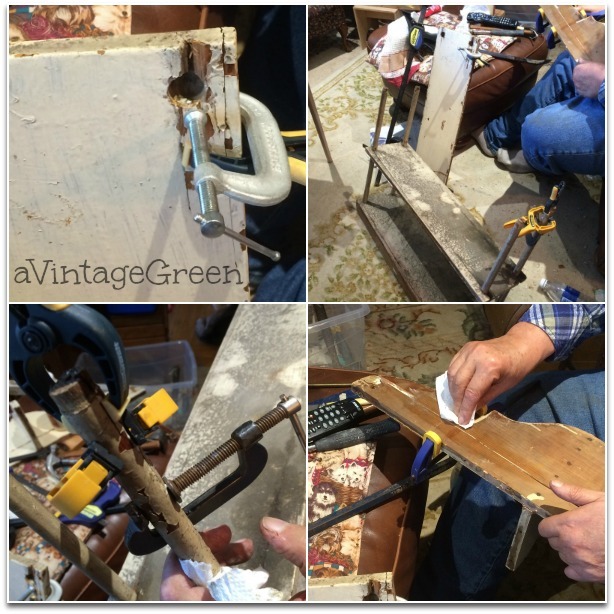 DH cleaned, mended, glued, clamped, tightened, nailed, etc. He put it back together so that it could be a wall hung shelf again. There was one more thing he wanted to do. The bottom had a board that was missing most of the original board. 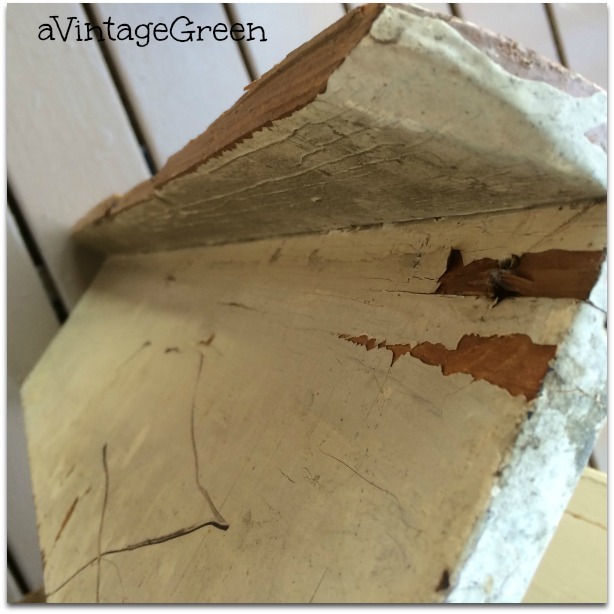 Next post will have the finishing details - repairing/recreating what would have been the base board under the shelf (DH's project) and painting and stencilling (my project). Love it! I would have brought it home too. It will shine with all that loving care. You gave it a nice home. Look forward to seeing the complete makeover. I love that shelf! I wouldn't know how to fix it but I would have had to have it too! Cute! You saw the "potential" for repair. Can't wait to see how it turns out. I'm looking forward to seeing this finished product! It looks like you gave it some good TLC and a nice home. You've left us hanging. Will be anxious to see your finished project. Can't wait to see the completed treasure! A true orphan rescue story. 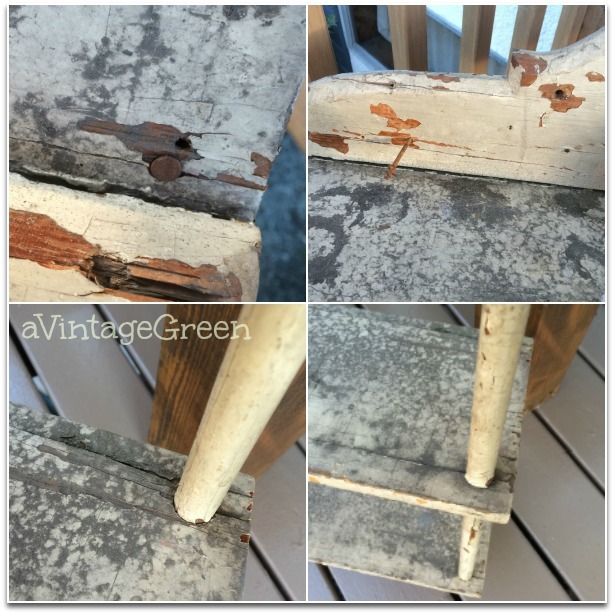 Love its chippiness - can't wait to see its transformation. What a fun find! 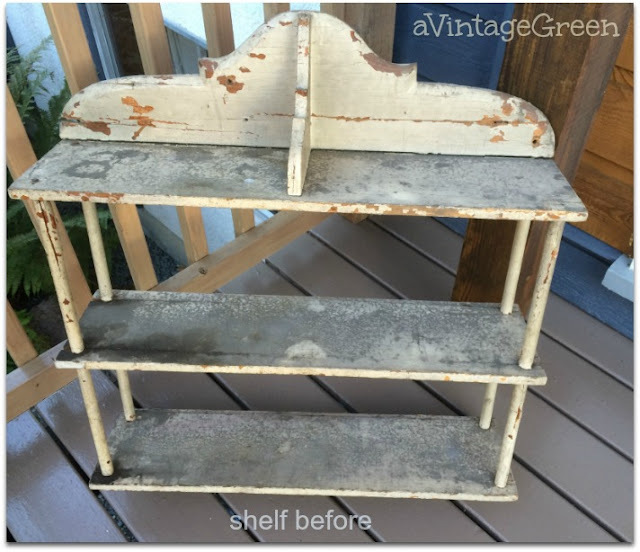 After all that TLC it will be well worth the effort, that shelf has too much character to pass by. Look forward to seeing the final result! Joy, your post left me looking forward to Part 2! Thanks for sharing @Vintage Charm! Quick, I want to know what happened next to the little shelf that could, post Part 2 asap. Thanks for being a part of Mosaic Monday again this week. Can't wait for part two of "the little shelf that could." Thank you for sharing at the Snickerdoodle Create Bake Make link party! I love it's style. I'm looking forward to part 2 as well! Stopping by from the Saturday Shuffle blog hop. Have a great weekend! Giving you a feature tomorrow for Let's Talk Vintage! 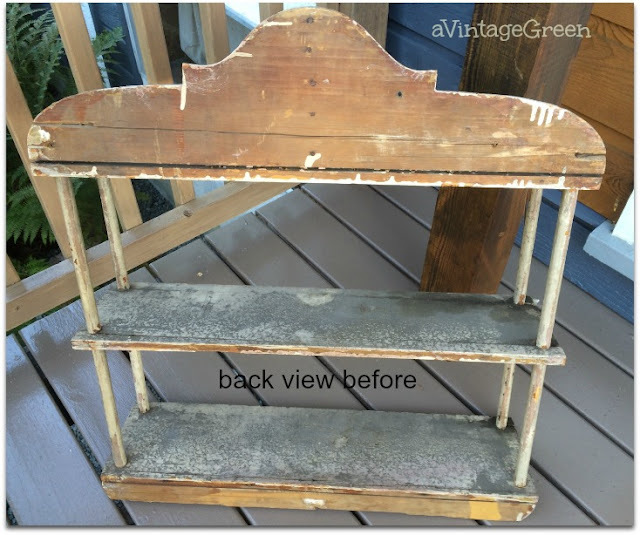 Thanks so much for sharing what went on to bring the little shelf that could, back to life!